Preserving the Black Box after a Trucking Accident | Green Law Firm, P.C. Attorneys that are representing victims of trucking accidents often face considerable challenges when proving negligence. One of those challenges is collecting valuable evidence before it is lost or accidentally destroyed by the trucking company. One of the most critical pieces of that evidence is the Electronic Control Module (ECM) or the “black box”, and that is why preserving the black box after a trucking accident is extremely important. Originally, they were designed by trucking manufacturing companies to protect themselves against invalid engine warranty claims. However, these devices have proven to be invaluable in the courtroom when proving fault after a devastating trucking accident. ECM data can show discrepancies between miles and hours driven and truck driver log books, it can show failure to comply with federal safety regulations, and it can prove truck driver negligence. Unfortunately, if this black box data isn’t preserved quickly, it can be lost forever. How can Black Box Data be Lost? A typical ECM records data only for 30 days. Once the 30 days is up, new data begins to record over old data. If your accident was longer than 30 days, you may not be able to uncover the records you need to prove fault. To make matters even worse, many states have passed laws that awards the rights to the data recorded on the ECM to the trucking company. 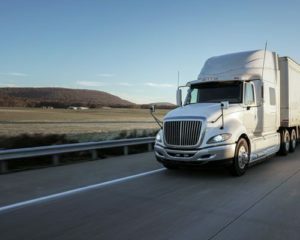 This means that the trucking company is allowed to do whatever it wishes with the data, unless it has been subject to a court restraining order. Some states, however, restrict the destruction of data. How Can Your Attorney Preserve this Data? The first step in preserving and protecting the black box data is to file an immediate protective order to preserve the ECM data. Your attorney will need to document who has custody of the vehicle and seek a court order limiting movement of that vehicle and ECM prior to inspection. Your attorney or representative will likely be present when the ECM is removed from the vehicle. Once the ECM data is obtained, your attorney will select a qualified and experienced company to read this data and interpret it for your case. If you or someone you love has been injured in a trucking accident in Colorado Springs, the steps you take now can make a difference when seeking compensation. Contact the experienced Colorado Springs car accident attorneys at the Green Law Firm today to schedule a no-obligation consultation and discuss your case. Call us today at 1-719-694-8515.